AWAKE for Not Quite Light Festival. As part of Not Quite Light festival I will be inviting people to join me to in Salford’s The Meadows from 8pm – 11pm to close the NQL festival on Sunday 20th May, to experience the sunset and crescent moon in the city centre; an opportunity to observe the changing light and to be collectively still. Six inflatable mattresses will form a grid on the ground of The Meadows in Salford. 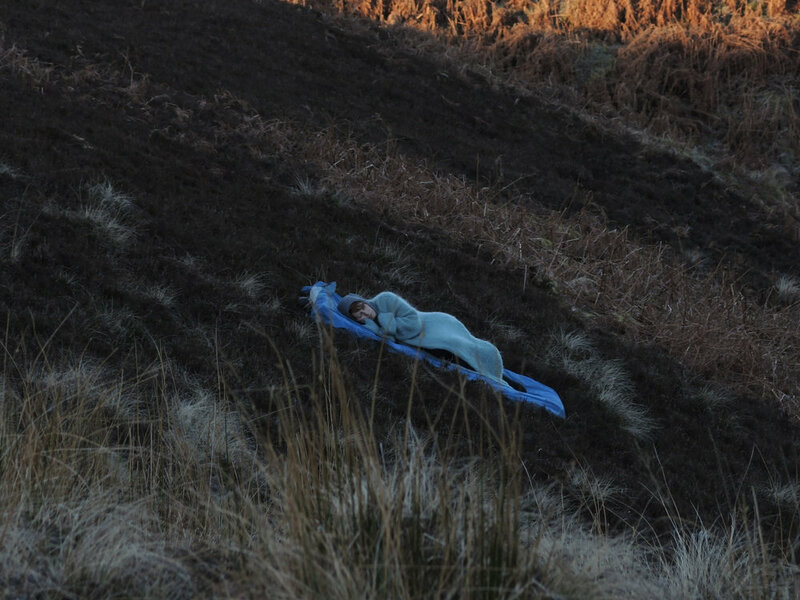 Cyanotype dyed sheets will line each bed, encouraging people to lay down for as long as they wish, to meditate on the sky turning from daylight to twilight, sunset to moonset. These last hours of sunlight will be captured on light-sensitive silk sheets, forming an intimate physical map of those who witnessed the end of day together. The blue prints will be developed and posted out to each participant after the event. The durational artwork will be recorded in a time-lapse video.